So amidst all the buzz, the film featuring the megastar of South and Akshay Kumar called 2.0 released yesterday. It was not less than a festive time in the south, thanks to the presence of Rajinikanth in it. The first day had beaten up all the records of 2018 films released this year. The film in India has released in not less than 7000 screens, which is a whopping number, while in overseas it has occupied around 3500 screes, which is again the huge number. This has therefore helped the film to reach record-breaking figures at the box office. Ever since the film opened up the occupancy has remained close to 100 is not just in the South but also in the northern part of India. The presence of Akshay Kumar has created a good buzz in the Hindi belt as well giving a whopping collection in the Northern parts of the country. 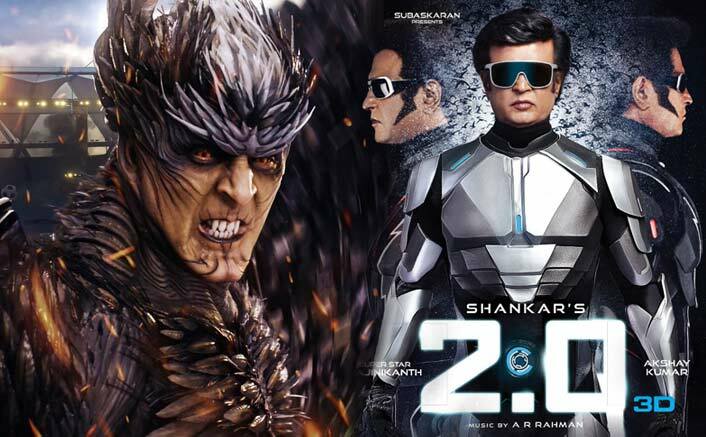 As per reports, the first-day collection for 2.0 in the South (in Tamil and Telugu speaking audience) went to around 60 Crores, while in the north the collection reached to around 30 Crores. So, the first-day box office collection for 2.0 reached to about 90 Crores, which is huge and the expected figure from the audience. With this collection, 2.0 has become the highest scorer of the year. It seems that the film would barely take a week to recover the cost of its making that went to around 550 crores. The response was similar in the overseas collection as well. The countries like US, Australia, New Zealand, Middle East and Europe has seen a decent collection. The film in the US has scored around 2.58 Cr on the first day, similarly, in Australia, it scored 0.59 Cr, and in New Zealand, it scored 11 Lakhs. This has made the gross collection for the film to reach around 120 Crores, which is huge. With such a whopping collection on the first day, the second-day collection would be close to 50 Crore, and similar would be the story on the first day Saturday. However, this coming Sunday would witness a collection of around 100 Crores, which will make a 300 Plus Crores box office collection. How Thalaivar’s Fans Celebrated the advent of 2.0 ?